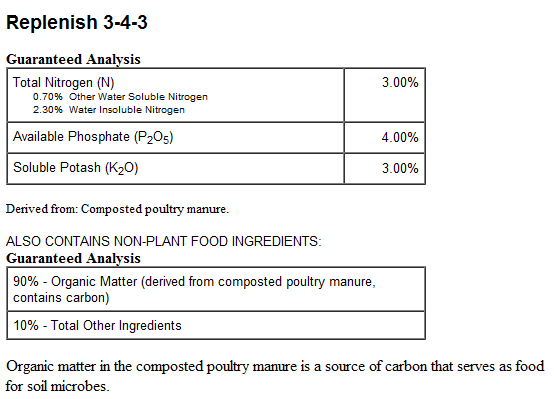 Replenish 3-4-3 is 100% organic egg layer poultry compost. This product is a very effective and inexpensive form of top dressing fertilizer and is an important part of many soil programs. The compost used in this product is an egg layer waste, which is very high in calcium, carbon and naturally occurring minerals. This product has gone through two separate digestion cycles, one in the bird and one in the composting facility. The digestion process in the animal allows all the minerals not used by the bird to become a part of the fertilizer. The additional composting process then adds more microbial richness. 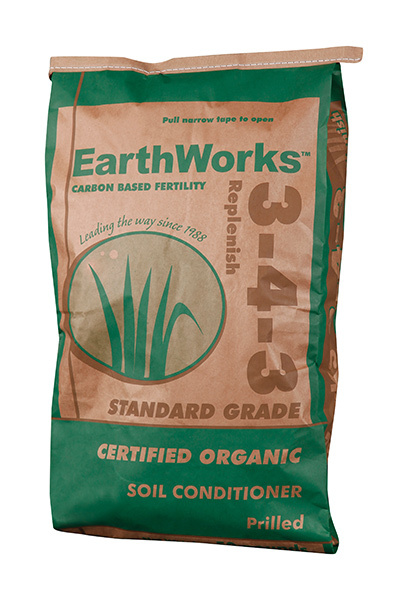 Because we use the best raw materials available, the EarthWorks Replenish compost is a powerful fertilizer that feeds both the soil and the plant. 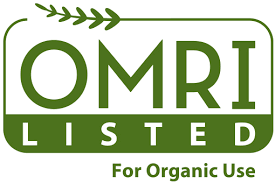 Replenish 3-4-3 is OMRI listed!